Excerpt from the talk I prepared for the launch of the inaugural Coburg Children’s Centre website. Enjoy. 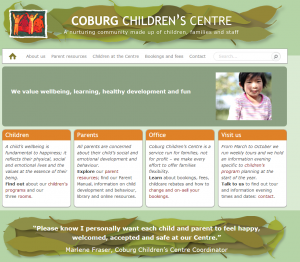 “Today we’re launching the first Coburg Children’s Centre (CCC) website. It’s unusual to launch a website with a criticism of your client… but I think there’s something missing I’d like to point out. The Centre’s philosophy statement is: Coburg Children’s Centre is a nurturing community made up of children, families and staff. In our nature-based setting we value diversity, wellbeing, learning and development, environmental responsibility, and fun. What’s missing from this statement text is something really important that underlies work at the Centre: “seriousness”. You only need to spend 2 days with Marlene and Michelle going through web content line by line, to realise how seriously they take the CCC endeavour. Many organisations mouth platitudes about being ‘values-led’ but at CCC they really are. The Centre’s ethos underpins everything they do – from fees to food to fun to the future of the Centre and the planet, and everything in between. That’s not to say they get everything right all the time but that they have great systems ready to swing into action to fix mistakes and improve as they go. When I asked parents and staff to rank the five things they wanted to find out about and do on the new website they chose ‘philosophy and values’ first. This makes sense, as a parent you need to find out more about these things – the values permeate all the systems at the Centre – so you need to know about them. My respondents ranked ‘child behaviour and development’ as second. Of course you’d trust the staff and educators at CCC to help you understand what’s happening for your children – they’re the leaders and authorities in the field. Third, parents wanted to know about the children’s programs. And why not? 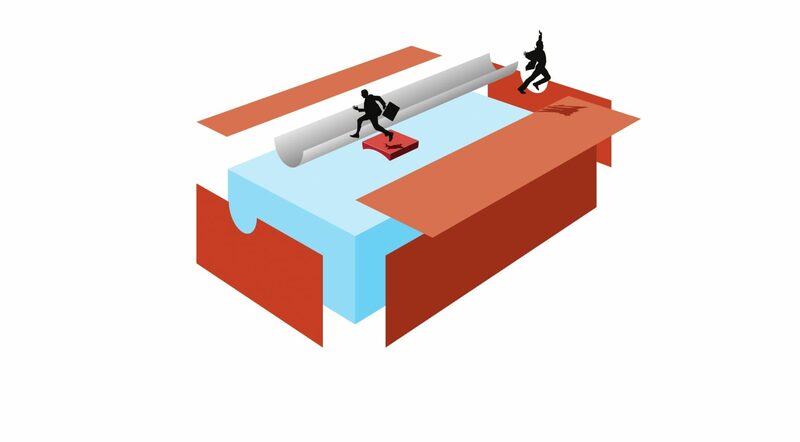 The programs are carefully designed with parent and educator input and thoroughly considered. Fourth, was about the rooms and fifth was practical – how to on-sell your bookings. Once I knew what parents were interested in, I asked the same people to help me structure these interests into the site via an online ‘card sort’. I looked at what items they categorised together and what language they used for the categories. Unlike some equivalent sites, this website isn’t a business card. It’s not a brochure and it’s not a sales prospectus. It’s part of the Centre’s services. It’s an extension of the excellence they provide in Childcare. It has to be authoritative. It’s fully referenced both internally and to important external websites. It’s a living document that the Centre can easily maintain and improve as they go – something I know they will do. I’ve learnt a lot about values-based management from CCC which I hope to continue in my own business and personal life. I hope you’ve learnt something from me. About F pattern reading, how visitors scan for keywords and about online accessibility.